Søren Kristiansen from Lego, Marcel Lubben from Reverdia and Jean-Luc Dubois from Arkema were all in attendance to offer the benefit of their bio-based experience – how they have employed it, the advantages of using sustainable products and where they see it heading in the future. 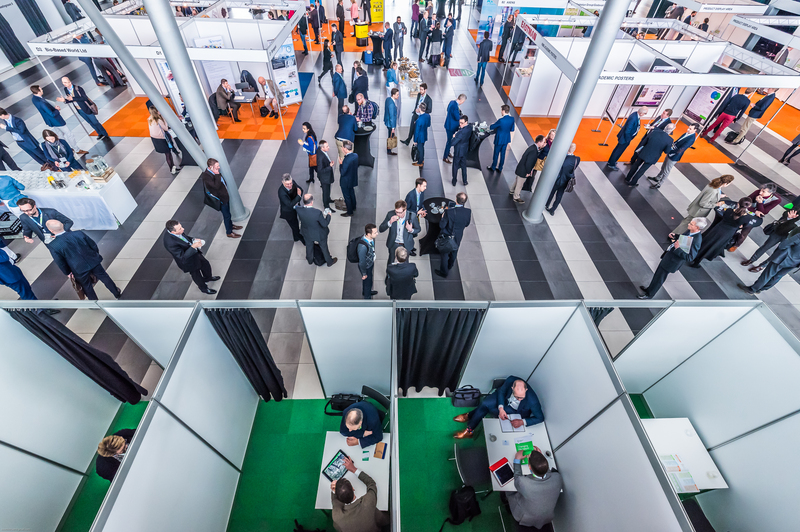 As we did yesterday, Bio Market Insights has mobilised reporters across the show to highlight the big points from day two and who said them, providing the best-possible picture of all that went on at the marvellous venue in Amsterdam. “The keeling curve is not political. Carbon is the backbone of the economy and the feed-stock of the bioeconomy. Even if we hit 75% of the Paris accords we are still in deep trouble. We need rapid decarbonisation.” – David Babson, Senior Advisor, US department of Agriculture. “We believe renewable, which is our focus for the future, really adds value to our business.” – Christophe Durand, Chemicals and Bio Sourcing Segment Manager, Michelin. “When we sell to markets no one ever asks if our products are sustainable. Why, therefore, are we held to a higher standard than traditional suppliers and producers – we are trying to reach a higher standard!” – Samir Somaiya, Chairman & Managing Director, Somaiya Group/Godavari Biorefineries. “Making packaging that can be processed by recycling facilities is our first priority. We are trying to get better and when we speak to other manufacturers we find many of the approaches we use are the same.” – Soren Kristiansen, Senior Technology Director Materials, Lego. “Consumer demand for environmentally friendly products and packaging is driving the growth – and what companies are really looking at improving are factors around cost, security, of supply and performance.” – Zoe Volioti, Consultant, Sustainability Consult. “There’s a big opportunity here: bio-based products could be seen as a new luxury. They have tech differences in design, superior function performance and an emotional engagement of customers.” – Stephanie Triau, Co-founder and CEO, Bioserie. “A key question in growth’s winding road is what patterns of growth (including revenue / profit / portfolio / reaction to shocks have been exhibited by startups, medium or large bio-product companies. How can these be analysed? What is the connection? Who is similar to whom? And what can be learned from these patterns?” – Petri Vasara, Vice President and Head of Global Consulting Practice, Poyry. “Long-term, products need to demonstrate one or more significant advantages with mininmal no disadvantages, including superior performance, lower cost or an alternate supply chain. In order to be impactful and to influence the industry you need the scale that petrochemicals already possess.” Steve Cohen, Director, Catalyst and Chemicals Technology, Elevance Renewable Sciences. “There are 4.2m jobs that have been generated from the bioeconomy. And those jobs can then create jobs in other sectors. Bio-based needs to be a household phrase if it is to be truly a success.” – David Babson, Senior Advisor, US department of Agriculture. “When we design the products we also use the five principles: form, low price, sustainability, quality and finction. We never take on low cost items that are not sustainable.” – Johan Bruck, Deputy Materials Innovation Development Leader, IKEA. “What would I say is the key learning of upscaling a bio-chemical project? The experiences of finding the right partners is absolutely key, as that can kill off or make a success of the technology.” – Christophe Cabarry, Chief Executive Officer & Founder, SpecialChem. “Make sure that you get patient capital with investors who are willing to stick around. These things take a long time!” – Dhivya Puri, Senior Technical Lead, Research and Development, Fiberight.